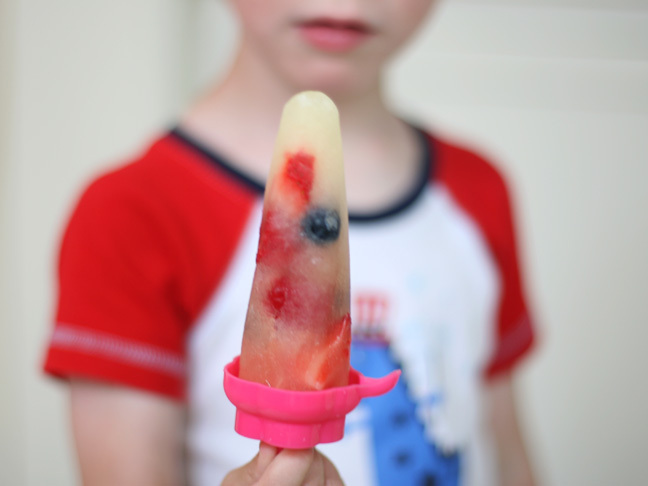 Fruit popsicles are a perfect summer treat but have you ever tried making you own, out of whole real fruit (no blender required). 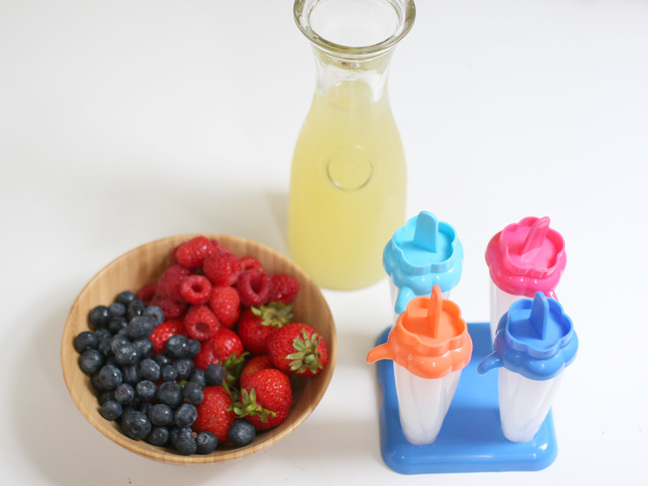 This is a fun activity to do with kids and a healthy result! Check the popsicles. When they're slushy you're ready to add the fruit. Take them out of the freezer and set aside for a minute. 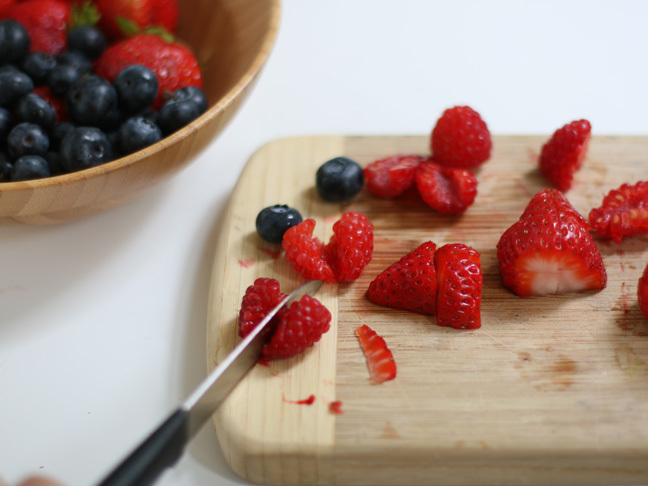 Cut up fruit and berries into large chunks. Now it's time to get the kids in to help! 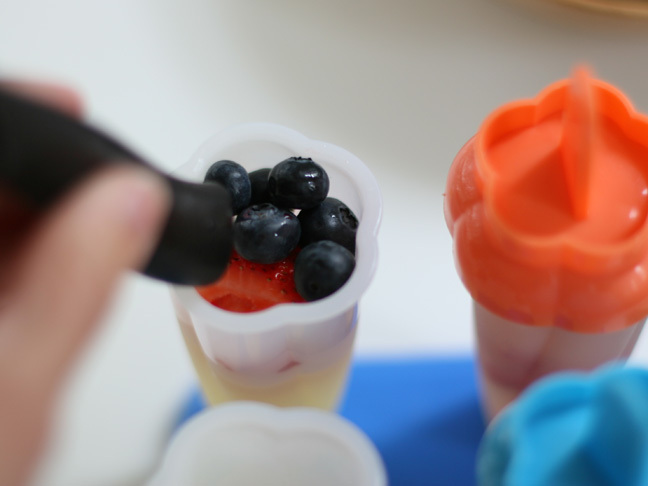 Have your kids help fill up the rest of the molds with the chunks of fresh fruit. 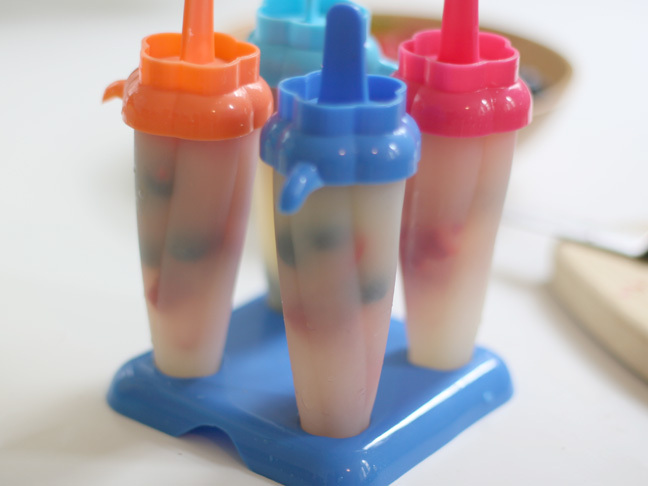 Use the back of a utensil to shove the fruit in and mix it up in the slush. You want them to be pretty evenly spaced throughout the popsicle. 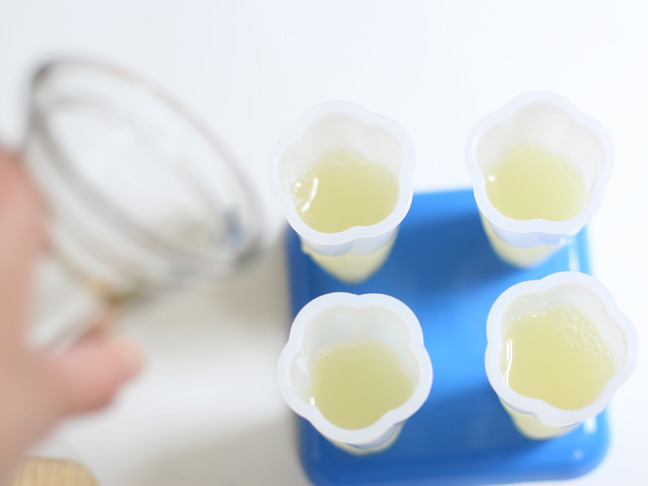 If you were to add the fruit when the pineapple juice was completely liquid, the fruit would just stay at the top (which ends up being the bottom of the popsicle when eaten). When the fruit chunks are mixed pretty well put the tops on and put them back in the freezer. They should be ready to enjoy in about another hour.